Great coffee can be surprisingly hard to come by. Harder still is a coffee shop worth sitting in. Fortunately, your cup will runneth over in Virginia’s Blue Ridge. Our favorite coffee shops are quite distinct from one another in both tastes and atmosphere. These aren’t stuffy, simple perk corner shops. Take a little sip at each coffee shop and sit for a bit. You’ll find relaxation (and/or productivity) is just a drop away. This bike shop in Downtown Roanoke is also the perfect place to grab a delicious cup of coffee. The bar at Downshift Hand Crafted Bikes & Brews features craft beer, kombucha, and nitro cold brew on tap, as well as a variety of coffee & espresso drinks with beans provided by Lexington Coffee Roasters. Enjoy a drink and learn more about the cool local biking culture in Virginia&apos;s Blue Ridge. “Fair trade” and “organic” are buzzwords we’re used to, but Little Green Hive walks the talk. The owners seek out “Third Wave Coffee,” that is, coffee that is single-origin and direct, fair trade. You won’t find coffee blends or subpar coffee of any kind at Little Green Hive. Check out the organic coffee bar to try something new. Locally roasted brew is the name of the game at Mill Mountain, and people love those brews so much, there are five locations in Virginia’s Blue Ridge and one in downtown Richmond, Virginia. If you have a hankering for a fall flavor, ask for the Headless Horseman. It’s a pumpkin and hazelnut espresso cooler that will ignite your afternoon. Carefully brewed coffee is not new. However, coffee brewed with the purpose of bringing out the original flavors of the bean rather than the roast is akin to wine making, and is something to take note of. Enjoy a cup of Sweet Donkey coffee on the porch, on the patio, or by the fireplace, depending on the weather and temperature. Spend a relaxing part of your Blue Ridge Day in Franklin County at The Whole Bean Coffeehouse in Rocky Mount. Drinks are made with locally-sourced ingredients like coffee and espresso from Red Rooster Coffee in Floyd and Homestead Creamery milk and half-and-half. Feeling hungry, too? Nibble on assorted baked goods or try a fresh-made paninis. If you’re anything like us, you love snapping and sharing your favorite new finds. 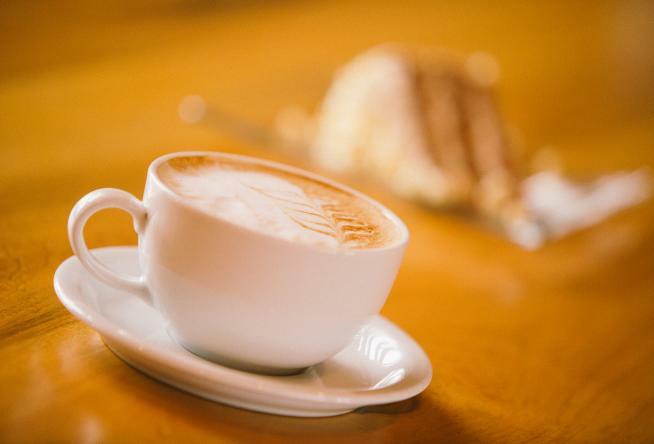 We think these coffee shops are worth just that. If you check them out and agree, be sure to tag #BlueRidgeDay to show off your view as well as what’s in the cup. Casey L. Higgins is a writer, editor, content consultant, and social media strategist working in the realms of travel and small business. She's also a mom and wife living in and loving the mountains and valleys of Virginia. Casey previously wrote for Virginia is for Lovers and is excited to share her enthusiasm for family fun, outdoors, and culinary delights found in Virginia's Blue Ridge.